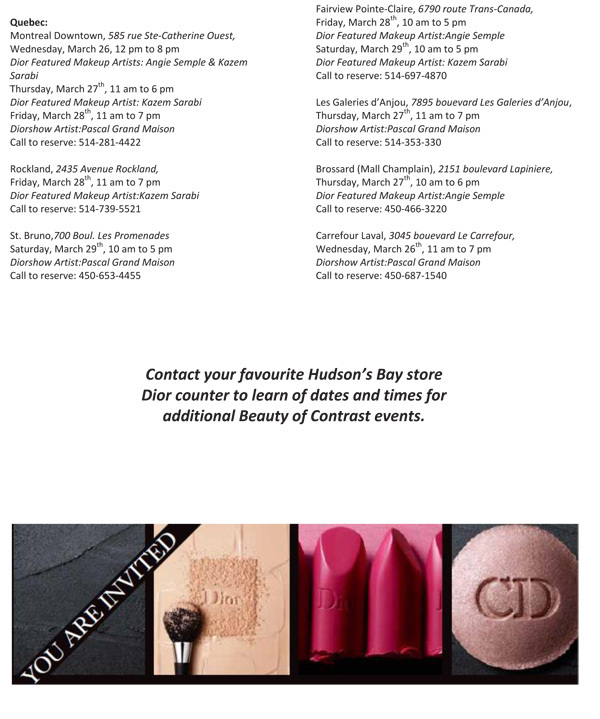 You are invited to come learn how to MIX makeup TEXTURES and products at Dior counters at The Bay across Canada! 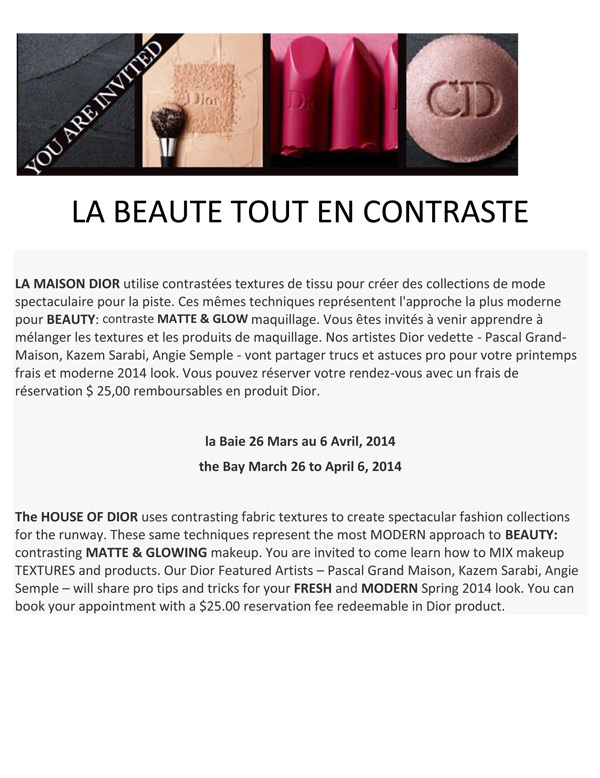 Dior’s Featured Artists – Pascal Grand Maison, Kazem Sarabi, Angie Semple – will share pro tips and tricks for your FRESH and MODERN Spring 2014 look. 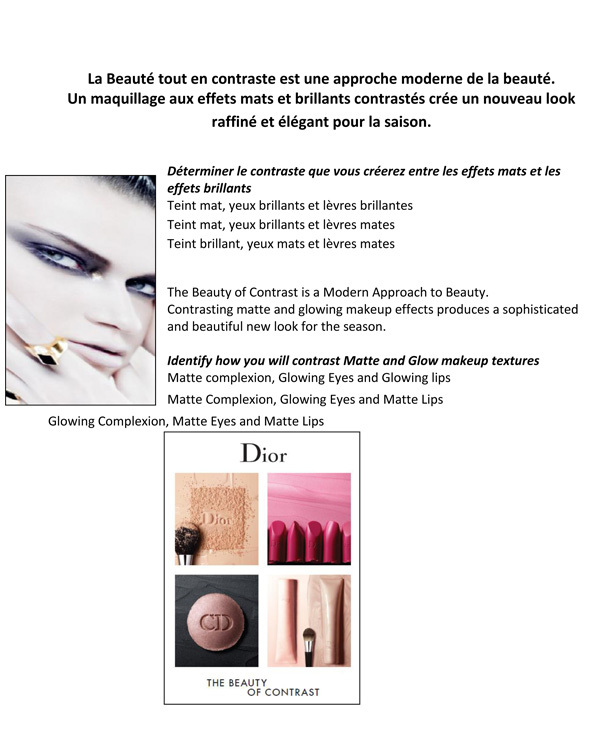 You can book your appointment with a $25.00 reservation fee redeemable in Dior product! 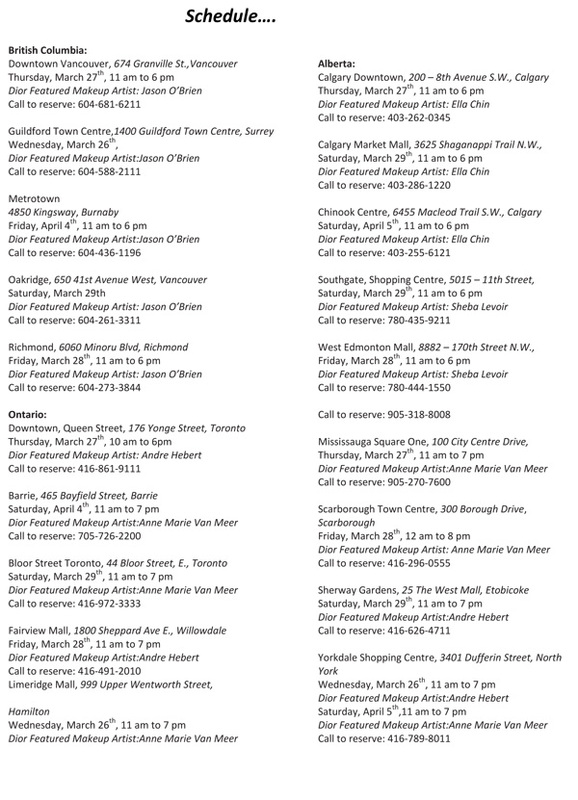 The Hudson’s Bay store information can also be found at thebay.com!